The Phyllis J. Mackey Center is the hub of campus. It houses the cafeteria, Admissions Office, and Clayton Museum of Ancient History, as well as meeting rooms and special event space. From eating in the Caf to exploring artifacts in the museum to hearing guest lecturers in the Miller Room, students spend a lot of time in this iconic campus facility. The Mackey Center was designed in the same style as "Old Main", the first building ever constructed on campus, which was destroyed by fire in 1952. 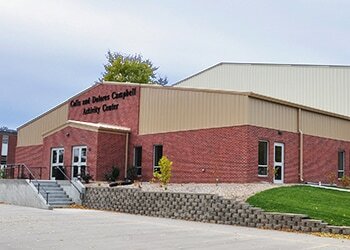 The Colis and Dolores Campbell Student Activity Center is a place for students to play pool, shoot hoops, watch movies and concerts, and participate in intramurals and other campus activities. 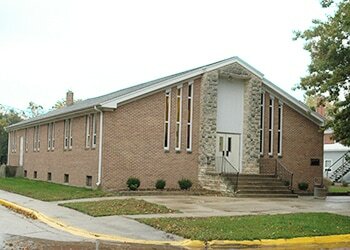 It is also the home of the daily chapel program, which is attended by students, faculty, and staff. The building has a large foyer area as well as a gymnasium. 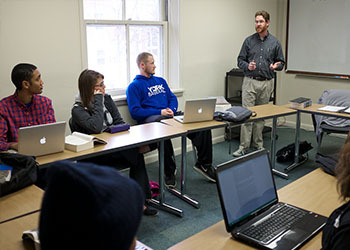 In addition to being one of the main academic buildings, McGehee Hall in the center of campus is home to York Campus Ministries, an organization that seeks to minister to students on our campus as well as train students for lives of ministry. Weekly devotionals are held on the steps of McGehee when the weather is fine and inside the building the rest of the year. McGehee also houses The Spot, the campus coffee shop and convenience store. McGehee Hall is a favorite hangout for many students. The Prayer Chapel is an historic church building moved to campus in 1999 and restored. It is open daily for prayer and meditation. On Sunday nights, Campus Ministries hosts a student worship service at 9 p.m. where communion is served. 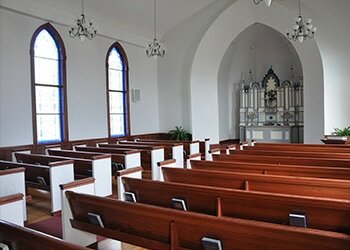 The Chapel is also used extensively for weddings and other ceremonies, as well as recitals and lectures. If you are interested in reserving the Prayer Chapel for a special purpose, please contact Gayle Good in the President's Office at gagood@york.edu or (402)363-5621. Looking for Panther gear? Stop by the Campus Store in Childress Hall to stock up on apparel, water bottles, and other YC-branded items to show your Panther Pride. Childress Hall also houses the campus post office. You can buy stamps or ship things via UPS from this convenient location. 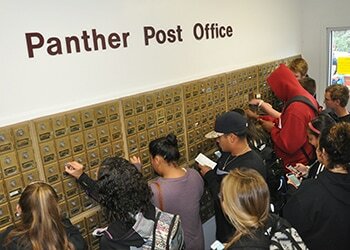 All students living on campus will have a campus mailbox either in Childress Hall or in their residence hall if they live in Gibbs or Kiplinger Apartments. Upperclassmen have the opportunity to live in the Gibbs (men's) or the Kiplinger (women's) Apartments. These residence halls offer the benefits of apartment living with the safety and convenience of campus. Each four-bedroom, two-bathroom apartment unit houses four students, with shared living room and kitchen spaces. Students can cook in their apartments or take advantage of the cafeteria in the Mackey Center. 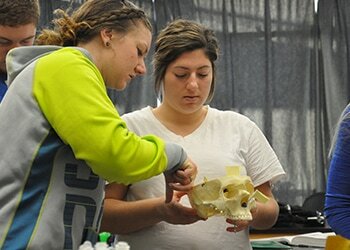 Each apartment building can accommodate 93 students in 24 apartment units. Spacious lobbies grace the main floor of each building. Laundry Facilities are located in each building. Thomas Hall, located on the northwest corner of campus, is the residence hall for freshmen and sophomore women. It offers individual and dual-occupancy rooms, as well as dual-occupancy suites with private bathrooms. There are communal areas, such as the main parlor and an exercise room. There is a large communal kitchen available to residents, as well as laundry facilities on the lower level. There are several study rooms for individual and group work. Separated from the women's side of the building, Thomas North provides a quiet environment for up to 30 male students. Many sophomores and transfer students prefer Thomas North to the apartment-style residence hall, as they have more autonomy and quiet workspace. Thomas North offers a communal kitchen and an exercise room. 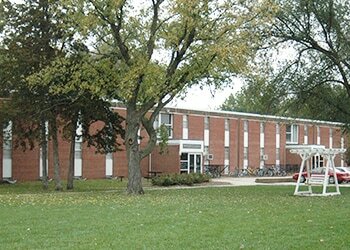 McCloud Hall is the residence hall for freshmen and sophomore men. It offers individual and dual-occupancy rooms. There are communal areas, such as the main parlor and lower-level activity area, as well as a kitchen and laundry facilities. It is conveniently located at the center of campus, close to the library, Mackey Center cafeteria, and Campbell Student Activity Center. The Freeman Center is the main athletic facility on campus. It is home to Panther basketball, wrestling, volleyball, and the cheer and pom squad. Many coaches have office space in this building as well. 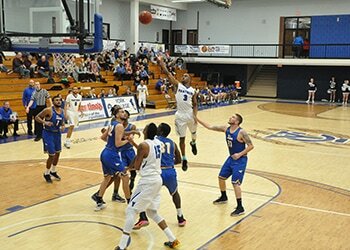 The building was recently remodeled and a new gym floor was installed. The acoustics in the gym are great for making some noise at home games and cheering the Panthers on to victory. The Holthus Fieldhouse is the primary training facility for many athletic teams. It's 35,000 square ft is outfitted with Astroturf and an elevated conditioning track circles the interior. It's a great place for cold weather training. 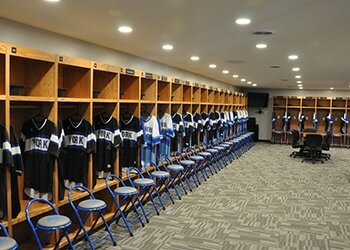 A 3,000 sq ft weight and workout room for athletes is also part of this facility. The Holthus Fieldhouse track is open to the community from October to April for walking during designated times. 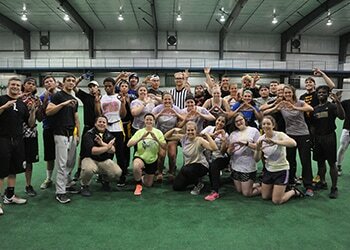 Intramurals and other student activities are also held in the Holthus Fieldhouse occasionally. 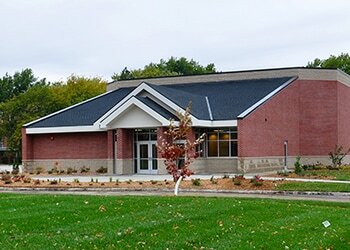 Named for the coach that started the baseball program at York College, the Touchton Clubhouse is the home of the nationally ranked men's baseball program. The facility was dedicated in 2016. One of the newest buildings on campus, the Bartholomew Performing Arts Center is a teaching facility, focusing on the day-to-day needs of students in the music and theatre programs as well as providing a quality venue for productions and concerts. A multi-form (black box) theater seating up to 350 patrons is the centerpiece of the Bartholomew Performing Arts Center. This 5,000 square-foot feature allows for various stage arrangements, extensive sets and improved seating and accessibility for patrons. Other features of the building include an atrium, a dedicated rehearsal hall for the concert choir, a green room, costume room, and practice rooms for music majors. The music building, located adjacent to the Bartholomew Performing Arts Center, houses the offices of music faculty as well as classrooms and rehearsal space for music majors. Gurganus Hall is a secondary performance space, often used for smaller, student-directed productions. The traveling children's theatre troupe practices in this space, which is also used as a set construction and props workspace. 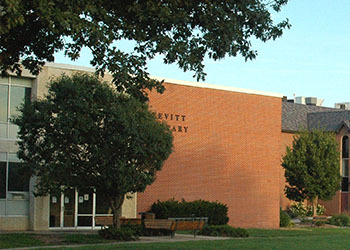 Levitt Library houses the library collection, including campus archives. The building also has two computer labs, numerous study spaces for individuals and groups, and three classrooms. Friendly librarians are ready to help you navigate physical and digital resources so that you can be successful in your assignments and papers. York College has access to many full-text article services that students can use free of charge. Sack Hall on the southwest corner of campus has many classrooms as well as labs for biology, chemistry, and physics. The President's Office, Advancement Office, and Business Office are all housed in Sack Hall, as well as several faculty offices. The wrestling team's workout facility is in the lower level of Sack Hall. 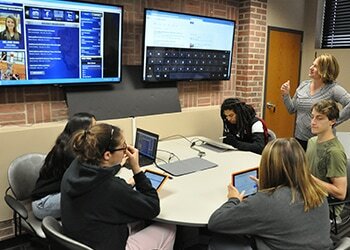 McGehee Hall has six newly remodeled classrooms on the upper level, as well as student activity space on the main floor. The main floor houses The Spot, campus coffee shop. 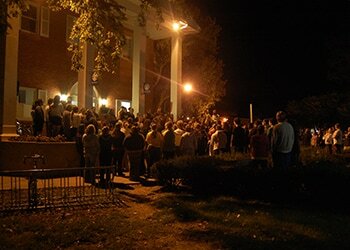 Devotionals are held on the steps of McGehee on Wednesday evenings when the weather permits. When the weather is poor, devotionals are held in The Spot. This building also houses the offices of the vice president for spiritual development and the director of student activities. Middlebrook Hall is home to many faculty offices as well as the Student SUCCESS Center, where you can receive free tutoring and other academic services. The basement of Middlebrook has three high-tech classrooms that are equipped for dynamic, group centered learning, as well as independent study space. Campus IT offices are also housed in Middlebrook Hall. This historic campus structure was built in 1903 and was the second building constructed on the campus. Over the years, it has been used for many purposes: a music conservatory, residence hall, cafeteria, post office, and more. Today it has classroom space and faculty offices for business, English, and history. 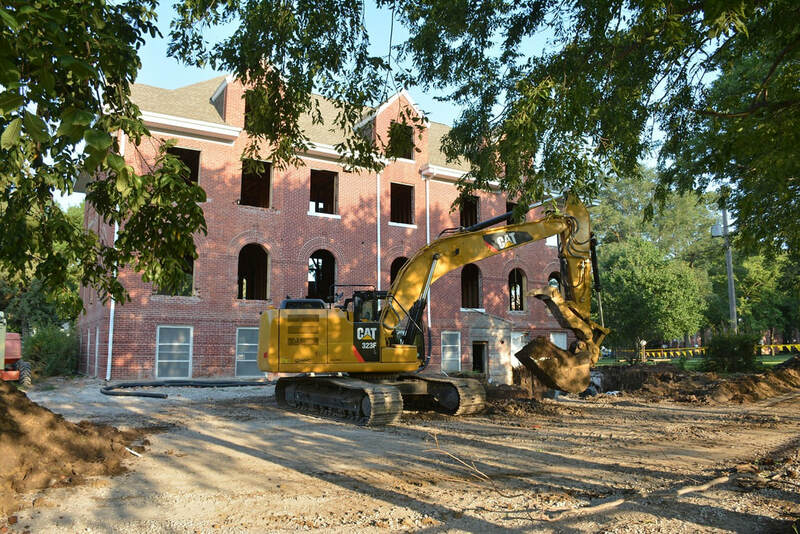 It also houses a special collection of artifacts unearthed by the History Department when they completed an archaeological dig on the site of "Old Main," a campus building that was destroyed by fire in 1952.